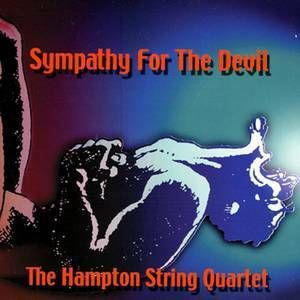 ,The Hampton String Quartet (Ensemble). Jimmy Page (Performer); John Bonham (Performer); John Paul Jones (Performer); Robert Plant (Performer); The Hampton String Quartet (Performer). Brian Wilson (Performer); The Hampton String Quartet (Performer). Keith Richards (Performer); Mick Jagger (Performer); The Hampton String Quartet (Performer). Eric Clapton (Performer); Jack Bruce (Performer); Pete Brown (Performer); The Hampton String Quartet (Performer). Jimmi Hendrix (Performer); The Hampton String Quartet (Performer). Art Garfunkel (Performer); Pauol Simon (Performer); The Hampton String Quartet (Performer). John Lennon (Performer); Paul McCartney (Performer); The Hampton String Quartet (Performer). Jimmy Page (Performer); Robert Plant (Performer); The Hampton String Quartet (Performer). Pete Townshend (Performer); The Hampton String Quartet (Performer).